Do you like to watch the stars at night? Where are the best areas for star gazing in Spain? 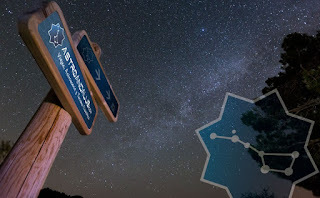 Here is a list of Star Tourism spots also known as Starlight Reserves in Spain. Sierra Morena mountain range is located in Andalucia, there is a marvellous network of star gazing vantage points and accommodation there. It also offers package holidays that include specialist guides, observation material, day and night activities, accommodation, 4x4 travel, etc. The Sierra Sur de Jaen is a mountainous landscape, also in Andalucia, with canyons and clear, transparent skies . Different astronomy associations and the Andalusia Astronomy Observatory normally organise guided observation activities here. Some companies provide private astronomy guide services with large professional telescopes. El Montsec is a Starlight Tourist Destination in the foothills of the Pyrenees in Lleida in Catalonia. You could do no better in this area than pay a visit to its large astronomy park made up of the Universe Observation Centre (COU) and an Astronomy Observatory. Did you know that the well known “Montsec Eye” is to be found there, the 12-m dome of which opens out to bring you “face to face” with the Montsec sky? Tenerife - Teide National Park and other peaks as well as the town of Granadilla de Abona hold Starlight certifications. If you like star gazing then watching them from a volcano at over 2,000 m is an amazing experience. Because of the geographical location of the Canary Islands both the northern and southern hemispheres are visible. Guided visits allow you to see inside one of the most modern telescopes. La Palma, also known as the “beautiful or pretty island”, is the most rugged of the Canary Islands and also has the clearest skies. Most towns on the island have astronomy vantage points. Its famous Roque de Los Muchachos Observatory, stands at 2,400 m above sea level and has one of the world's most complex telescopes, it can be visited by prior arrangement. Gredos Norte in the south Avila, has a network of star watching view points equipped with information panels, car parks, etc. The Astronomy and Astrophotography Congress is held there every year. La Rioja has three areas: The Biosphere Reserves of the Valleys of Leza, Jubera, Cidacos and Alhama, the Laguna in Cameros and another in Cervera del río Alhama. 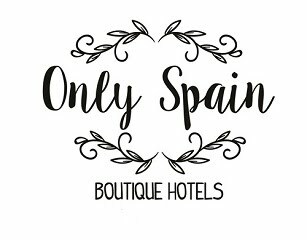 Would you like to stay in the Sierra Sur de Jaen? Casa El Reguelo holiday home in the heart of the area is only 1.5 hours from both Granada and Cordoba also near Jaen, Baeza and Ubeda. Book your own private star gazing exerience, either be collected from the house and taken to a pre-chosen spot or from the patio and garden of Casa El Reguelo - a unique starlight experience with AstroAndalus.